The Rock of Gibraltar is located at the entrance of the Mediterranean. Its strategic location and history have made it an international symbol of solidity and strength, and its name frequently features in the world press and media. Gibraltar is connected to Spain by a sandy isthmus, a ferry to Morocco and flights to London. In March 2011 the new international airport will open and tourists will be attracted by cheap, frequent flights. 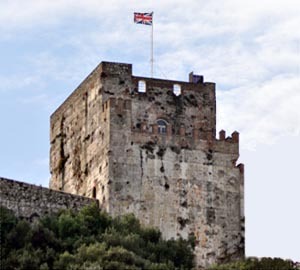 The subject of repeated conquest and sieges, Gibraltar has been a British Territory since 1704. Ceded forever to Britain by Spain in the Treaty of Utrecht (1713), Gibraltar joined the EU in 1973, under the British Treaty of Accession.Today, as a self-governing British Overseas Territory the locally elected Government of Gibraltar has created a solid and diverse economy. In a modern Europe, this has its base in offshore finance, shipping, tourism, and the Internet rather than the historic military past. There is, however, much of that for the tourist to see, along with the famous apes, and the dolphins in the bay. Gibnet.com is one of the longest running Gibraltar websites but is in need of a revision. Although some of the content is timeless, much is dated and a new version is under development.